Computer forensic analysis and electronic discovery are the processes of obtaining electronic evidence from computers and electronic media in order to analyze and preserve that evidence for admissibility in court. Alpha Omega Investigations’ forensics department has dedicated staff that specialize in the identification, extraction, interpretation and most importantly, documentation of electronic evidence. We work with individuals, businesses, and lawyers that are skilled in all areas, including preparation for legal actions and trial. Our computer forensic staff, which holds two accreditations from the National Security Agency, can help you recover deleted files such as documents, PDFs, movies, graphics, and photos. Extract electronic data from databases, obtain emails from email servers, and reconstruct events from electronic evidence. Search “unallocated” space on the computer’s hard drive. These are spaces on a computer where data exists but is not easily reachable without a forensics expert. Find “hidden files”. These are computer files that are not visible to the user, but that can be analyzed to find past usage information. Our New York based computer forensics expert constructs and analyze date codes for each file to determine when it was created, modified, accessed or deleted. Acquire data from virtually any type of computer media including hard drives, backup tapes, CD-ROM, and floppy disks. Our computer forensic analysis can reveal internet usage, dates, and times that the internet was accessed, what websites were visited, and what files were downloaded. This information can be documented for use in legal proceedings. Our forensic specialists can recover data and accomplish a full analysis even after the computer has been reformatted and files deleted. Our complete and detailed analysis uses industry-standard methodology, and we supply you with a concise written report when done. Best of all, since you are dealing with a licensed and bonded private investigator service, we know what it takes to prepare documents for court cases and legal proceedings. Both our licensed private investigators and our forensic investigators are highly skilled at acquiring and delivering legal evidence. 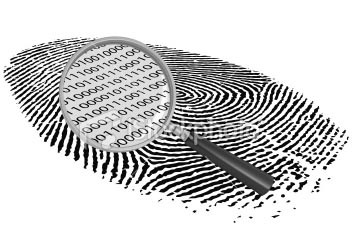 We have the training and experience necessary to analyze and uncover electronic evidence. Our high level of training and legal experience serves to ensure the court admissibility the electronic evidence we recover. We encourage you to contact us today. All information will be kept strictly confidential.